Activate this card by paying 1000 LP. Effects of monsters in the hand cannot be activated. 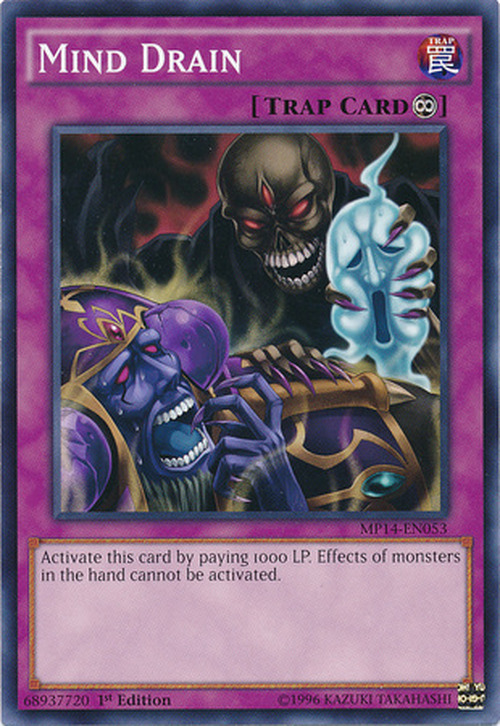 This card depicts the aftermath of Soul Drain, with Dark King of the Abyss claiming the soul of Dark Ruler Ha Des. The aforementioned Soul Drain and Skill Drain are this card's counterparts. 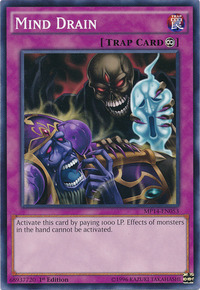 This card may depict the start or final transformation of Dark Ruler Ha Des becoming Revived King Ha Des.